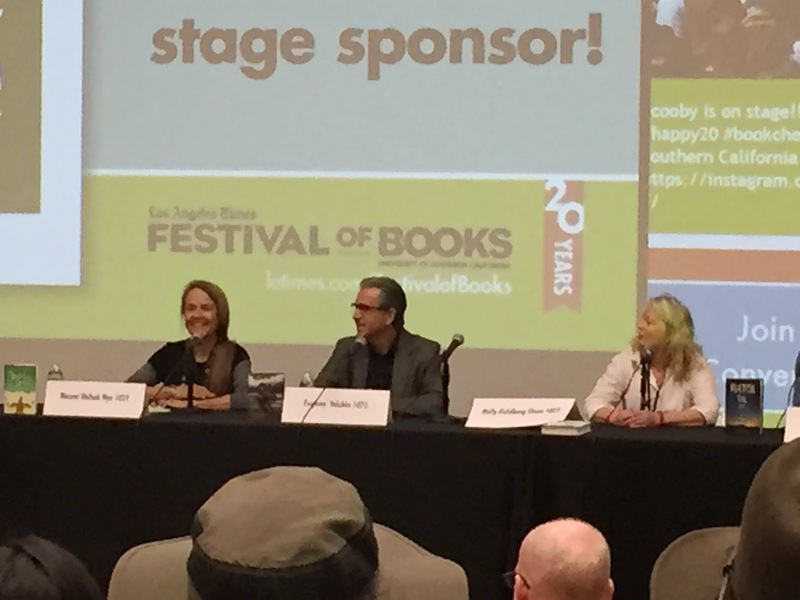 I was lucky enough to listen to the conversation panel at the LA Times Festival of Books that had Eugene Yelchin as a speaker. Did you know he lived in the Soviet Union until he was 27? There he is in the middle of the picture. 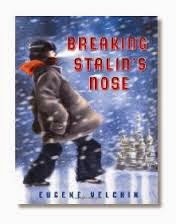 Eugene Yelchin has written and illustrated Breaking Stalin's Nose and more recently, Arcady's Goal. He has illustrated other picture books, too. I was able to read Breaking Stalin's Nose quickly (an hour?). The story takes place in two days that completely upend Sasha's world. Sasha is a young communist in Stalin-era Russia and he thinks he understands the world. That is, until it starts to unravel. His father is arrested and what he thought would be a great day turned into the worst day of his life. The illustrations are amazing and get the point across. 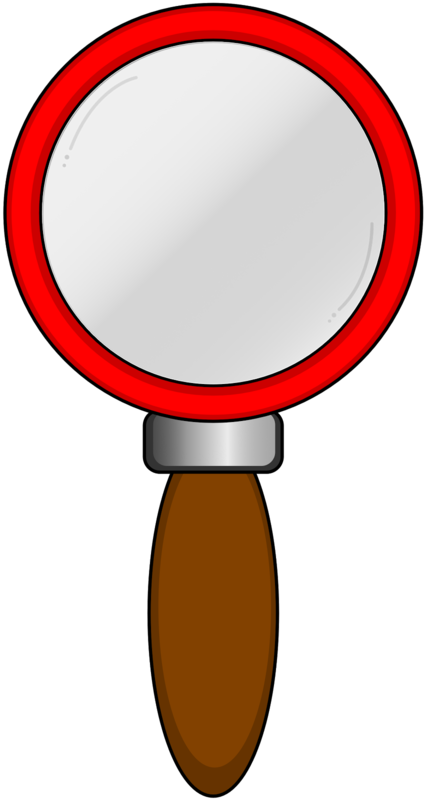 Eugene Yelchin has a great website with more information. Check out the komunalka! Really interesting. Here, you can see a book trailer. 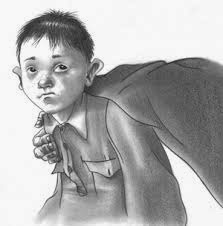 There are very few books written about communist Russia for children. 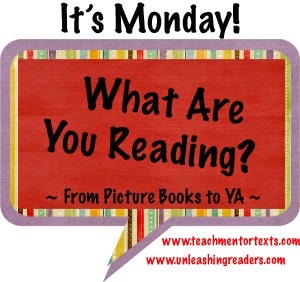 I think it would be a great read for grades 5-8. It's an easy read but the themes are for older kids.